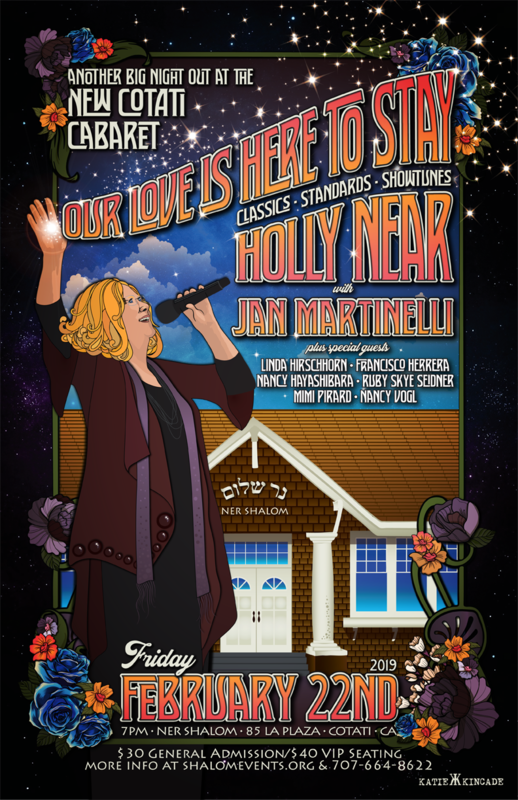 Legend Holly Near, with Jan Martinelli and a pantheon of musical friends, will return to the stage on February 22 at 7PM at Ner Shalom's Big Night Out. The concert will be a rare departure from Holly’s past Sonoma County performances, as she will be singing love songs, standards, and show tunes, and will be introducing new artists who will join her. In addition to Jan on piano, other special guests will include Linda Hirschhorn, Francisco Herrera, Nancy Hayashibara, Nancy Vogl, Ruby Skye Seidner, and Mimi Pirard. Holly's voice shines especially bright when singing love songs, so you'll be in for a wonderful treat on this night of love songs and standards!